Call us today at (901) 755-5515. Cole Chiropractic Center is the oldest chiropractic clinic in West Tennessee. Founded in 1958 by Dr. James R. Cole, the clinic is now over 50 years young. The practice has moved from mid-town to east Memphis, and now is located just off of Germantown Road in Cordova. Cole Chiropractic is committed to effective health care in a patient friendly environment. Be assured that every patient at Cole Chiropractic is treated with courtesy, integrity and respect. Patient satisfaction is priority number one. 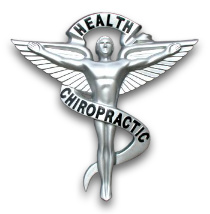 If you are new to our website, please browse around to learn about our practice and to discover the wonders of chiropractic wellness. Click on the "email us" link below to ask us a question or to send us feedback. Use the "send to friend" link to share our health information with your friends so that you can begin a journey to wellness together! To receive free wellness and health articles subscribe to our bi-weekly newsletter. If you are already a newsletter subscriber, please explore the member wellness section of our website for animated exercise videos, wellness articles, chiropractic resources, and health facts specifically targeted to your wellness needs and interests by Dr. Don and Dr. Halcomb. We value our patients' experience at Cole Chiropractic Center. If you are currently a patient, please feel free to complete the following Client Experience Questionnaire. The Questionnaire is in Adobe Acrobat format, and requires the free Acrobat Reader to view.